In response to last weekend's post "Appreciating Photographs", Will provided a link to a classic article by Minor White, "Equivalence: The Perennial Trend". Unfortunately, within the past few days, the site that hosted the article has come down after a long run. As I write this, you can still get the article by Googling the title and retrieving it from cache, but there's no telling how long it will be there. White was perhaps the most influential expositor of the "equivalence" concept, initially proposed by Alfred Stieglitz. The essence of the idea is pretty straightforward: photographers can use pictures as metaphors, to represent feelings about things other than those shown by the pictures. To be concrete, and leave off theory for a moment, we can return to the photograph of a cloud mentioned above. If we question the photographer, he may tell us that it stands for a certain quality that he finds in a specific woman, namely her femininity. The photograph exhibits softness, delicacy, roundness, fluffiness and so corresponds to at least one feeling or emotion that he has about her. If we ask why he does not photograph the woman herself directly, he may answer that she is hardly photogenic, or that he wishes to establish a certain aesthetic distance between his direct feeling and his outward manifestation of it via the photograph. If the problem isn't obvious, take a look at any of the original "Equivalents" (for example, here), and ask yourself exactly what was going through Stieglitz's head when he was making them. White actually spends much of the article not explaining how this mode of communication is supposed to function, but rather ranting on the theme that photographs can have emotional resonance, and dissing the oafish majority who don't share his elevated sensibilities. I'll grant him the former point, with which I quite agree. But as for whether and how you can bottle that resonance and pass it around for others to share, all the mystical bloviation can't hide the fact that he's got nothing useful to say. UPDATE: Jim Couch has kindly provided a link to another copy of the article. Photographers are better off when they let the pictures do the talking. What were Stieglitz's "Equivalents" equivalent to? White's big mistake was in trying to give a concrete example. 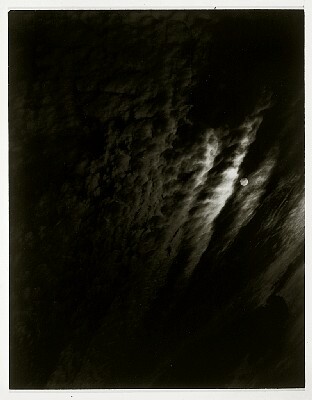 There is no way to know what Stieglitz's photos are equivalent to (did anyone ever ask him?). On the other hand, however, we are certainly justified in considering them equivalent to something from our own experience. Personally, I like the "Equivalents" photos, but for reasons of my own, not Stieglitz's or White's. I remember the first time I saw Stieglitz's series of "Equivalents" in a Time-Life book on the great photographers. My reaction then was the same it is now: "Huh?" I think the vast majority of people react the same way, although some, perhaps wanting to be seen as a member of that elite group that White describes as being "sensitized intellectually, emotionally, and kinesthetically", will continue to pretend to understand Stieglitz's thinking when he made these photographs. I admit to not being in that group. I don't "get" the Equivalents. Without the accompanying explanation in the book I first saw them in, I would never have guessed that they were anything more than so-so photos of clouds. Without knowing beforehand that they were intended to be something more, I don't see how anyone would ever comprehend Stieglitz's intent, or that he even had one over and above the obvious. But I guess that's why I prefer Norman Rockwell to Piet Mondrian. Without knowing beforehand that they were intended to be something more, I don't see how anyone would ever comprehend Stieglitz's intent, or that he even had one over and above the obvious. And I don't count myself as especially intellectually sensitized (and I don't even know what "kinesthetically" means) but I kinda figure that anyone hanging pictures on a gallery wall has an intent over and above the literal record. So it's "obvious" to me that these clouds stand for something else. As would any abstract work. White is trying to prove a literal meaning which probably doesn't exist, but that doesn't mean we shouldn't consider the ways in which these photgraphs could be speaking to us. I'm not sure I like the turn this blog is taking lately. I know y'all are supposed to be the friendly neighborhood photo curmudgeons, but damn. If you want to just trade snapshots on Flikr, great. But to even mention photography as art, and then seemingly dismiss any attempt at serious thought or philosophizing about it as "bloviation," that's not curmudgeonly, that's neanderthal. 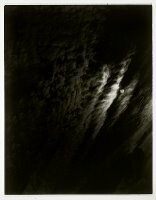 I believe Stieglitz, when asked what he saw in the cloud pictures, said something along the lines of "I see naked women" but I can't remember the exact quote. His answer was meant, I seem to recall, to demonstrate the ridiculousness of trying to make a concrete comparison between a cloud picture and a thing represented. So, how about a discussion of the Family Album of Lucybelle Crater next? Thanks for your interest and your comments, but I'm afraid I will have to pass on Mr. Meatyard, at least for now. I'm not a huge fan of his work, and I think our readers are entitled to at least a brief respite from my dyspeptic mode.